Nissan India has announced schemes on select trims of the Terrano, Sunny and Micra cars. Offers include free insurance for the first year and finance plans at a revised rate of 8.99 per cent. The Terrano (selected trims) gets benefits up to Rs 95,000 including a 5gm gold coin, Blaupaunkt navigation system integrated on the dashboard for no extra charges and an exchange bonus of up to Rs 30,000 (depending on the model exchanged). Offers on the Sunny comprise benefits of up to Rs 75,000 which include accessories worth Rs 10,000 and an exchange bonus of up to Rs 30,000. The Micra and Micra Active get benefits up to Rs 45,000 with accessories worth Rs 5,000 and a maximum exchange bonus of Rs 20,000. Arun Malhotra, managing director, Nissan Motor India Pvt Ltd said, "For people in India, the buying decision process is usually inclined towards the festivities. They prefer buying during auspicious festivals and reserve their purchases for such occasions; it is also considered a favourable period to bring home a new car. Nissan is offering additional benefits and facilities to prompt their buying decision and enhance their car buying experience. To move a step closer to our customers, we have established over 200 touch points in the country today to cater to the increasing buying needs in India across all regions." 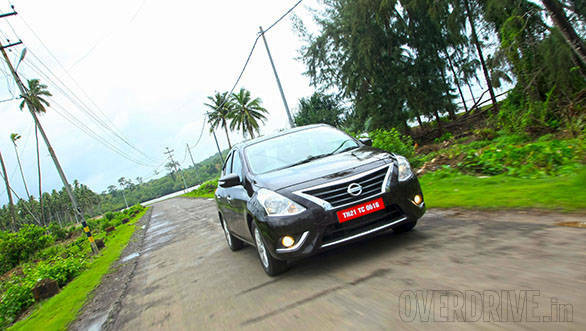 Nissan India is also offering some special offers and discounts on its more affordable brand, Datsun. Prices have been slashed from Rs 1000 to Rs 20,000, as you move up the Go and Go+ trims. Datsun also provides free insurance and finance at 8.99 per cent. 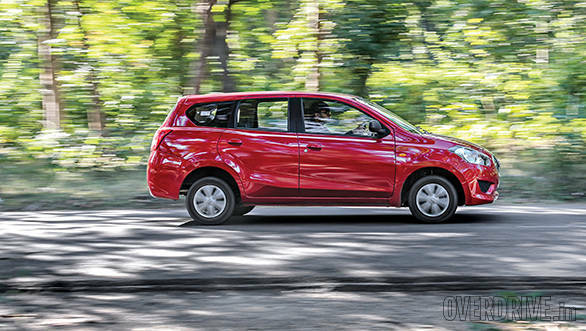 Benefits of up to Rs 22,000 and Rs 25,000 can also be availed on the Go hatchback and the Go+ sub 4-metre MPV, respectively. Datsun has also introduced the 'A' trim on both the models - it gets power steering, electrical power windows and driver-side airbag and a lot more. All the other trims get follow-me-home headlamps and drive computer as standard. Arun Malhotra further elaborated that, "Datsun has addressed the requirements of a young and aspirational Indian customer. With its Nayi Parampara campaign, Datsun hopes to break the traditional mindset and offer a product which is stylish, practical and value-for-money. We are celebrating this festive season by offering special benefits to our customers and an attractively priced Datsun line-up for the Indian customers." The above offer is valid till October 31, 2015.